13 You miss them so much! Falling in love with someone can be the most exhilarating, momentous and amazing moment of your life. But how do you know you love someone? How do you know for sure when you are really, truly moving into the kind of love that will sustain your relationship for the long haul? 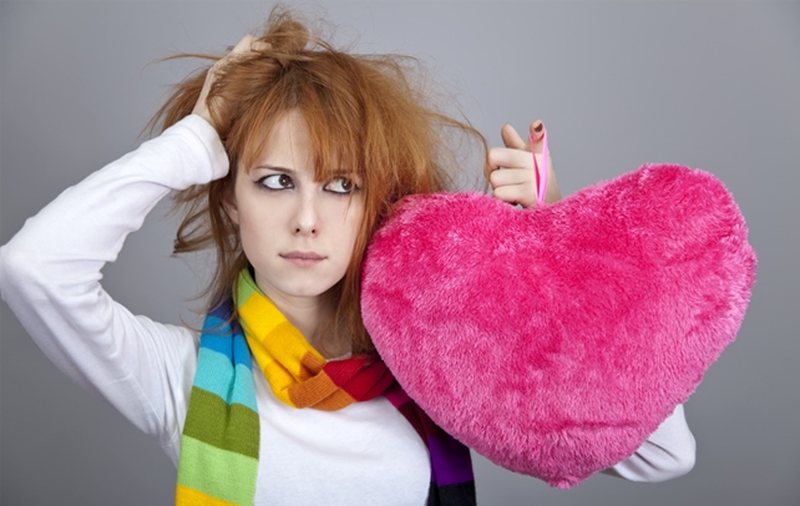 It can be confusing, especially since lust and infatuation are often confused with love early on in a relationship. Everyone experiences love in different ways, and so it can be tough to say with certainty that you know when this is the one – but as the old saying goes, when you know, you know. When you fall in love, you want to spend time with that person all the time. Even going to sleep can seem like you are wasting time, because you don’t get to see them while you are in dreamland. If you can’t wait to get up in the morning so you can see them again, you just might be in love. You know they aren’t perfect. You know that they have flaws. But you love them anyway, and you adore them for who they are, even with all those flaws. In fact, you look at those imperfections as the perfect little quirks that make them who they are, and that makes you love them even more. You are changing for the better. You are doing things now because someone else matters, and their opinion matters. That makes you want to be a better person in every way – to drop the bad habits, pick up good ones, be kinder and gentler and funnier, and all the other things that make your partner want to be with you just as much as you want to be with them. Speaking of getting up in the morning, that person is the first one on your mind when you rise to meet the day, and the last thought in your head when you go to sleep. They are filling all your thoughts in between, too. When something good happens – or even something bad – you want to tell them before you talk to anyone else. This is one of the most obvious signs that you love someone. You might have been selfish when you met your significant other, but when you fall in love, that changes fast. Suddenly that person matters more to you than what you want or need, and you will sacrifice to make sure they have those things that make them happy. Seeing them happy makes you happy! When your loved one is away from you, you worry. Did they make it to their destination okay? Did they handle that issue with their client? Are they happy? Are they healthy? Are they thinking about you? When you are in love with someone, you will have a strong physical reaction to that person when they are around you. You will get turned on, you will want to touch them, and you will shiver or feel warm when they touch you. In fact, you can’t get enough of touching them! When someone comes into their life that you see as a threat, you might get jealous. After all, you want to protect what you consider to be yours, and that means you want that other person to go away! Healthy jealousy can be one of signs that you are really in love with that person. The short-term doesn’t matter anymore. Now you are thinking in terms of forever, and that means in terms of years down the road – not just the next date this weekend. When you start to think in terms of keeping that person in your life for good, you are falling in love. When you love someone, they can do something that upsets you, or that is negative in some way, or even illegal, and guess what? You still love them. Your love is truly unconditional, and you know that you will work through whatever bad things might come your way. Falling in love actually changes your brain chemistry. Did you know that you become a completely different person when this happens? You might feel addicted to that person, as though you can’t get enough of them. Seeing them activates all the reward systems in your brain and makes you feel good, and you want more of that feeling. Maybe you weren’t invested in other people, but this time you are, and you want those you love to love them just as much as you do. That means that you want your family to adore your new love, and you want your friends to accept them as their friend, too. You miss them so much! If you miss them when you are apart and can’t wait to see them again, you are falling in love with them. Being in love means that you can’t get enough, and that means that the moment they walk away – even to just make a quick phone call – you start wanting them back with you. Everything is good and fine and wonderful, and that means no pressure to move faster than you want to move. You are in love with them and right now, it all works out so well that you can’t imagine ever having problems in the future.